This year, the Museum’s landmark property at 1524 N. Lake Shore Drive celebrates its Centennial. Throughout 2017, we will share monthly updates with readers of this blog – “deep dives” into the history of one of Chicago’s few remaining lake shore mansions, and its former occupants. At present, supporting research is being conducted by dual IMSS Collections Intern – Permanent Collection & Research Intern – Mansion History Abigail Klionsky. As an introduction to this work, I wanted to take a moment to reflect on what we know, and what we hope to learn. 1524 N. Lake Shore Drive, which has housed the International Museum of Surgical Science since 1954, was once the private residence of Eleanor Robinson Countiss. 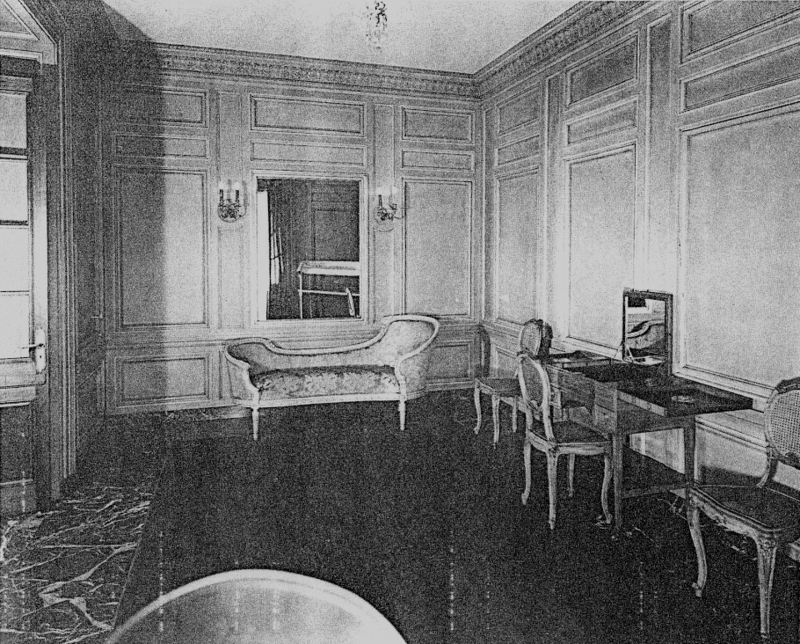 Eleanor, daughter of Diamond Match Company executive J.K. Robinson and heiress to his fortune, lived in the mansion with family until her death in the Spring of 1931. The Lady of the House was a prominent figure in the Chicago social circuit and hosted extravagant parties attended by the Mortons, Drakes and Shedds, among luminary others. While Eleanor is most widely known for her poise as a hostess and for her unique, fashionable attire (many of her garments are collected by the Costume Institute at the Metropolitan Museum of Art), the history buff remembers Eleanor for her entrepreneurship (she managed business dealings in limestone, cosmetics, and motor vehicles,) for her bold independence (she was twice married – deeply unconventional for her day) and for her socially progressive activities in and around Chicago – as a suffragette, as a volunteer for the American Red Cross, and periodically as an immigrant’s rights advocate. Eleanor had 4 children: Henrietta & Frederick Jr., by her first husband Frederick Countiss (then President of the Chicago Stock Exchange), and Barbara & Lawrence Jr., by her second husband Lawrence Whiting (then President of the American Furniture Mart). The bulk of what we know about home life at 1524 comes from Henrietta’s written reflections on her experience there (collected in an unpublished manuscript held by the Museum) and pictures of the home taken several years after Eleanor’s death by her son Frederick Jr. These details were compiled into an interactive tour app developed for the Museum by Encurate Mobile Technologies. Curious readers can download the app here, and experience it for themselves on their next visit to the Museum. Excluding servants, the 10,000 square foot mansion never housed more than 5 people at a time. The first floor is conventionally divided into reception (in the front) – a billiards room and salon – and facilities (in the rear) – including a “hotel-scale” kitchen, cold locker, laundry, and small closet reserved entirely for apples and jam. View more historic images of the Mansion here. The second floor of the mansion is perhaps its most iconic – quoting architectural details from French Neoclassicism . Indeed, the mansion is a near replica of the Petit Trianon, playhouse and retreat of Marie Antoinette at Versailles. 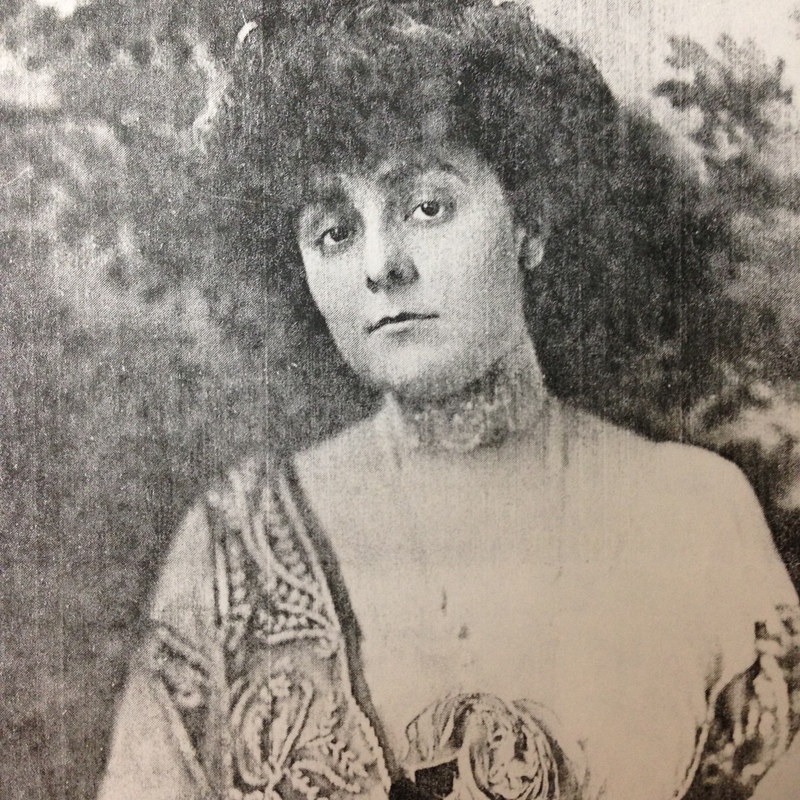 Eleanor had become enamored with palace on a trip to France as a young woman, and hired the celebrated Chicago architect Howard Van Doren Shaw to build her copy. Shaw is remembered today for his imaginative work on dozens of notable projects in the Chicago region – among them, the Goodman Theatre (since demolished), Fourth Presbyterian Church, as well as numerous domestic projects in Lake Geneva (including Eleanor’s very own vacation property). The historian Leonard Eaton wrote that Shaw’s style is hard to characterize, because he drew on so many historical sources; that said, he despised the French Neoclassicism (the style of the Petit Trianon); likewise, he had harsh words for the Italian Villa, the Adamesque interior and the Norman Cottage. His preference was for soundness and livability and he loved the warm, heavily paneled interiors of English country homes. He was, however, not above satisfying his client’s requests – even if it meant working off the lines of an existing structure. A close copy, 1524 is conspicuously one floor taller than the palatial retreat of the Queen of France. Eleanor is recorded as quipping: “It was necessary. If Marie Antoinette had lived in Chicago, she would have raised it too.” While Shaw may have sold this to his client as a ritzy lake-view addition, it afforded him the excuse to bring the ceilings down a few feet in the vacuous great halls. A little livability in a house built for royalty. Three central content generation goals for research in 2017 include: (1) the development of an annotated, exhaustive genealogy of Eleanor Robinson Countiss, tracing back 3 generations and recording descent through to the present day [this is scheduled to take the form of an online, interactive family tree] (2) the publication of an in-depth reference biography of Eleanor Robinson Countiss, and (3) the creation of a preliminary draft for an in-depth reference text on the architecture of the mansion. I hope you’ll stay posted as we continue to excavate this exciting slice of Chicago history. Collin Pressler is a writer and curator based in Chicago, IL. He currently serves as Director of Exhibitions at the International Museum of Surgical Science.